Originally released in theaters back in 2017, the adventure indie horror/thriller film Flora is now available on blu-ray. Mill Creek Entertainment is mostly known for releasing older films and TV series but with Flora the company has officially branched off into releasing indie movies. 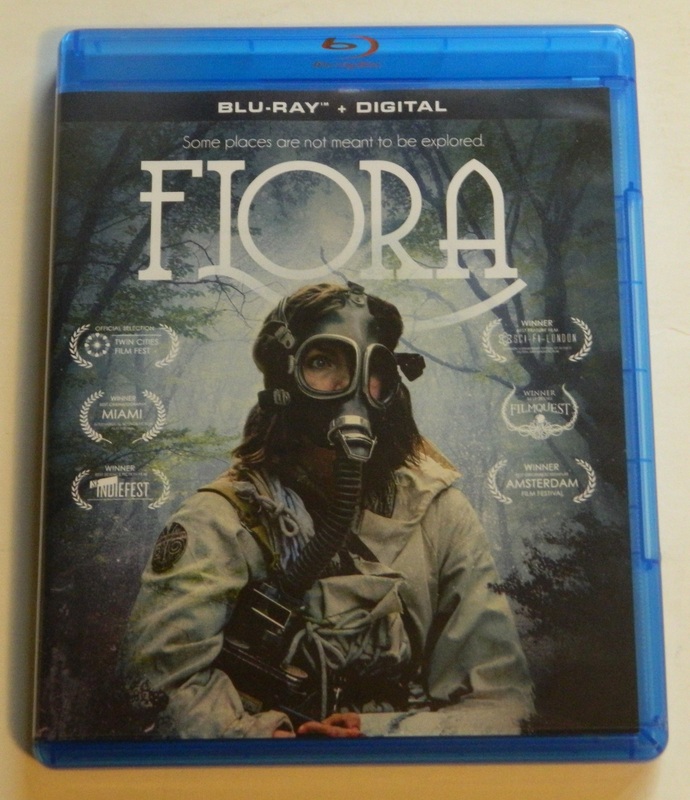 While I wouldn’t consider myself to be a big fan of horror/thriller films, I was interested in checking out Flora because the movie had an interesting concept. Basically the story of Flora follows a group of students exploring a forest where they discover a deadly organism that puts their lives at risk. Flora has a really interesting concept and ideas but unfortunately encounters too many slow points to reach its full potential. We would like to thank Mill Creek Entertainment for the review copy of Flora used for this review. Other than receiving the review copy we at Geeky Hobbies received no other compensation. Receiving the review copy had no impact on the content of this review or the final score. The story of Flora takes place in the summer of 1929. A group of students embark on an expedition into an uncharted forest in North America. When they arrive at their professor’s camp they discover that their professor and the other researchers have gone missing. As they begin looking for their professor and exploring their surroundings they discover that things are not what they seem. They end up discovering a deadly organism that puts all of their lives in danger. Using the few resources they have left they need to find a way to survive and ultimately escape the forest before it is too late. Flora is one of those films that are not particularly easy to classify as it does not fit particularly well into any of the main film genres. I personally would probably classify it as a period adventure film with some light horror/thriller elements. I say light horror/thriller as I don’t usually like horror movies (I am kind of a coward when it comes to horror movies) and yet I don’t think there was a single time in the movie where I was particularly scared. Even though I am generally not a big fan of the horror/thriller genre, I was intrigued by Flora because the concept intrigued me. Basically Flora is your typical movie where the protagonists need to fight and survive against an unknown threat. Being a fan of sci-fi films and similar genres I found this concept to be interesting. Instead of having a monster/human as the villain, it was interesting that the threat was something different. I won’t go into anymore detail to avoid spoiling what the actual threat is. I give Flora credit for doing something original instead of doing the same thing as so many other movies. I think the biggest problem that I had with Flora is the pacing. Flora begins a little on the slow side as the group enters the woods and starts exploring. This part of the movie mostly feels like watching people explore the woods. Eventually they start to realize things aren’t what they seem. Flora starts picking up a little at this point as the protagonists start to discover more about the threat. They eventually decide that help isn’t coming so they need to use their finite resources and knowledge to fight for their own survival and escape the forest. This part of the film is considerably better than the earlier parts but it still encounters the occasional bump in the road. At this point I want to bring up that Flora was an indie/low budget film. IMDB has the film’s budget at an estimated $120,000 Canadian Dollars ($90,ooo-$1000,000 in US Dollars). With most major films having budgets around $20 million to $100+ million, it is safe to say that Flora’s budget was considerably lower than your typical major release film. A bigger budget does not necessarily make for a better film but having a smaller budget does put more emphasis on the director/producer being more creative with their story. With such a low budget I give the creators a lot of credit but at times the smaller budget does show. The film doesn’t have any expensive sets or special effects which is to be expected from an indie film. A large majority of the film takes place in the woods which makes sense for the plot but was also probably done in order to reduce the cost. In some areas of the film I was impressed with what the filmmakers did on such a small budget but in other areas you can tell where corners had to be cut due to the budget. I think the best example of this is shown by the fact that the movie takes place in 1929. Being an indie film it is actually surprising that the film chose to place the film so far in the past as it is usually quite expensive to shoot period pieces. For the plot’s sake though it does make sense because modern technology would kind of ruin aspects of the plot. In some ways Flora is actually quite impressive for a period piece. You can tell that the creators put a lot of work trying to make the film as accurate to the time period as possible while also on a budget. Most of the time it actually does a good job holding the 1920’s vibe. Other times though the immersion is kind of broken (mostly due to budget constraints). While I obviously didn’t live in the 1920s so I can’t be positive but I think at times the characters don’t act like they probably would have back in the 1920s. Not being a sticker for immersion I didn’t find this to be a big issue but other people might think differently. Like with most things regarding Flora I think the acting is kind of a mixed bag. Being an indie film it is not surprising that most of the actors don’t have a long list of acting credits in their past. Most of the actors have only appeared in a few indie movies or TV episodes. In general I would say some of the actors are pretty good while others could use a little more work. I think part of the problem with the acting is that I think a lot of the characters could have been developed further. A lot of the characters just feel like stock characters. You don’t learn a lot about most of the characters which makes you not really care about what happens to some of them. With the film being an indie film I didn’t know what to expect out of the video quality for the blu-ray release. I would say that I was actually pretty surprised by the HD video quality. 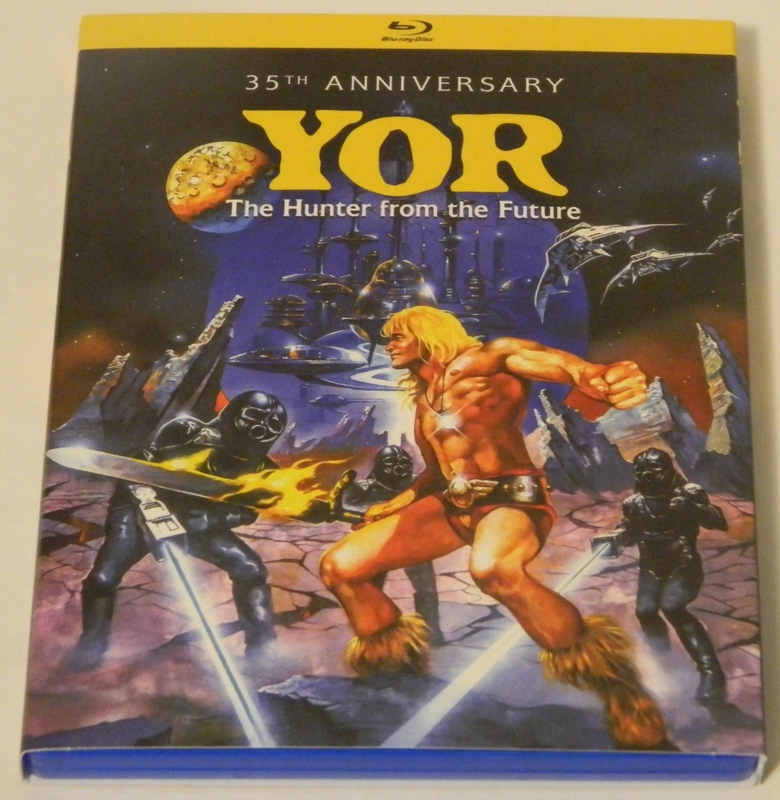 The film looks quite nice on Blu-Ray as I didn’t see any issues with the video quality. As the film doesn’t have any special effects though it obviously isn’t going to look as good as blockbuster films. As the film mostly takes place in the forest it has a lot of nice nature shots but doesn’t utilize the HD quality as much as some other films. I had no issues with Flora’s video quality but it is also one of those films that you probably don’t have to see in HD. Behind the Scenes Featurette: An approximately seven minute long feature about the making of the film which includes outtakes and interviews with the cast and crew. At the end of the day Flora is a decent film that has some positives and some negatives. The film’s concept is pretty interesting and does some things that I really haven’t seen done in other films. For an indie film it actually did a pretty good job using its limited budget. At the same time though the budget shows at times. The film’s pace is a little up and down. It starts pretty slow but eventually picks up with the occasional bump along the road. The acting is pretty hit or miss which is to be expected from an indie film. I honestly would be curious how the film would have turned out if it had a larger budget. Flora is a solid film with good ideas that also has some issues. If the film’s concept sounds interesting and you like horror/thriller movies where the protagonists have to fight against an unseen force, I think you could enjoy Flora. Otherwise I would probably pass. Has a really interesting concept. Is impressive at times for an indie film. The movie starts pretty slow and has some other occasional slow parts. At times the film's lower budget shows.